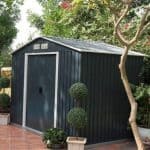 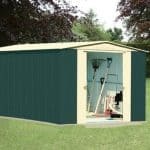 This is a great looking wood look shed which is actually made out of metal. 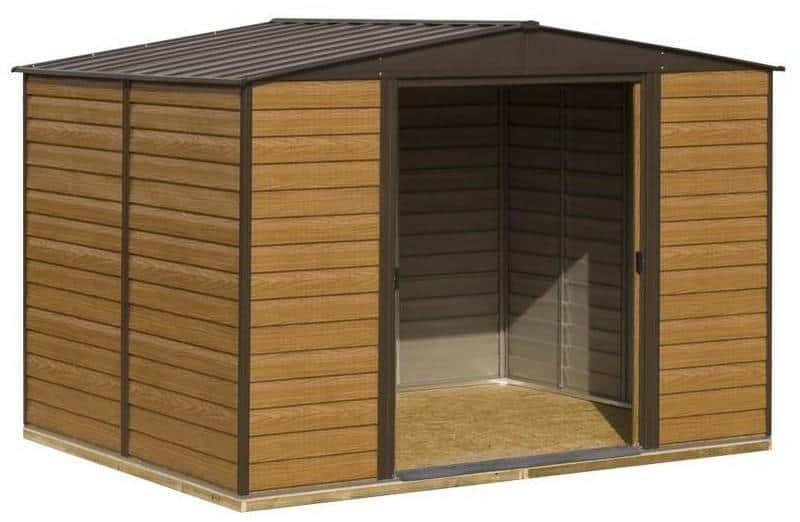 It is extremely secure and is rot proof, fire and even rodent proof. 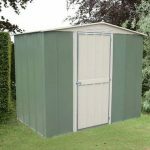 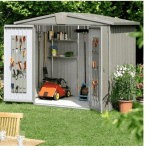 Good for those who want something low maintenance yet attractive and large enough to house plenty of garden equipment, furniture and children’s toys. 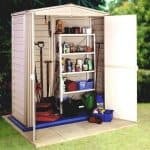 It’s a nice looking garden building and will last for many years. 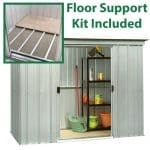 This product comes delivered with floor.